We started out journey at about 9 am. Two and a half hour drive to my eldest daughter’s campus to pick her and her friends up. Oh my daughter, she won 4 tickets from flyfm the week before. Hoping to get meet and greet passes but it’s not meant to be 😦 I was listening to fly with my younger daughter then and heard her name…. the next thing I knew, I heard her screamm… screeching so loud for the whole nation to hear her love for David, I’m so proud of her haha all excited lol! We never won any competition on radio before haha. It was fun but we had our tickets already so she gave away those tickets to her friends, one of them couldn’t go cause the mother didn’t want her to miss any classes, but GOD moves in mysterious ways… all the classes were canceled that day !!! so they didn’t miss any…so my good reputation as a mom is still intact!! lol. We went to pick up the tickets at flyfm. When the girls saw the tickets they screamed their high pitch again haha..help building “the mood” for concert ….Oh my poor hubby haha lol. We checked in at our hotel and gave an extra ticket to one of the staff there. She was so happy, I could tell from her smile “ear to ear” as she thanked us nonstop. Had lunch and freshened up, then we went to the stadium. In we went at about 4:45 pm waiting for our Prince Charming to show up lol and he did, swiftly walked in .. didn’t run as usual, he looked a bit tired though. We greeted him with longgg and louddd screams and clapping our hands till it hurt lol.. many of us were stunned I believe. He smiled back at us with the sweetest smile ever, die haha. My first impression of seeing him for the first time is on the left side bar above, thank you admins for giving me that honor 🙂 and may I add now about his physical appearance… ok. He actually glows as you all know… not because he’s fair. The “glow” was from the inside cause when I saw him he’s a bit tan, not too much but tan he was, he had some nice pink color on his skin especially his scratchy cheek. 🙂 He’s a muscular young man, I tell you lol I thought I’d see a small and thin guy… nope he’s not, he looks as healthy as a 20 year old man can be. My daughter said “must feel very sturdy when one gets to hug him” and I agree. Oh sorry this is sooo looong and I’m not even half way through my “story” yet, when it comes to David I can talk for hours haha. I need to talk about his skin for a bit, I was so fascinated at how it looks so glowy, porcelain like and flawless especially on his forehead. When he flashed his pearly white mega watt smile his whole face was all lit up and we just couldn’t help ourselves but to smile back and feel sooo warm and good, it’s mutual and so genuine. “Anymore songs you guy wants to hear?” Again the response was overwhelming, then someone said “Someone Like You” (I think) he hesitated for a bit, knock a few notes on the keyboard and said “I could do acapella for you guys…” yayyyy… 🙂 but we got cut off by Sony CEO 😦 It’s time to move on to questions, stop yaying…and start NOOOO…OOO ing. David in his nicest way said “Oh sorry, umm yeah I guess I have to save my voice for tonight, hee (insert his sheepish adorable smile here). Ok David (and Adrain) we forgive you, and come to think of it I don’t mind really cause poor David must be very tired; the Malaysian (Asian) schedule was so punishing. The questions I remember were the first one, “David, will you marry me?” haha. David just grinned his awkward grin and we laughed our awkward laugh lol. Adrain to the rescue noooo noooo new question please lol. That’s an adorable moment. The next question was Sanjana asking him to sing a birthday song to her cause it’s her birthday, so he did as you all know. The way he sang her name was soooo sweet and while he sang this it was as if he sang just for her you know!! like there’s only him and her…. he pointed his hand at her throughout the song, and said “Happy birthday.” At the end I think she cried… tears of joy…who wouldn’t, what a lucky girl!!! and so that’s about it, we said good-bye, “See you tonight guys! ” “See you Davidddd!” That’s all I can remember about sound check, good time. After sound check we had our dinner outside the stadium, ha, didn’t notice that we were so hungry during sound check… time flies when you’re having fun is so right, so we filled up “our tank” and went back to the stadium. It’s about 7 something pm. Sooo many people there, hanging around, some still buying tickets !!! We saw some people went in, so we did too. Me and my family had to sit separately from my daughter’s friends since we had 4th row seats and their seats were somewhere in the middle. Bye have fun girl, see ya if we’re still breathing after the show haha. We found our seats, it was so close OMG and almost center OMG. We’re gonna be able to catch his shoe(s) or if we open our mouth too wide while ecstatically screaming our heads off the shoe might land in there haha…if he didn’t tie it properly and if he kicked hard enough while he “puts one foot front of the other” lol and then he can continue his show without his shoes hahaha. Ok I spotted many familiar faces from YouTube that AAM posted from the ticket launching day. In fact, we sat beside the cute twin girls from the vid who said they needed the meet n greet passes so badly (and they did get the passes) ha!they’re so lucky and as cute as can be. While waiting for David… I looked around and.. my.. my.. I saw the mix of audience. 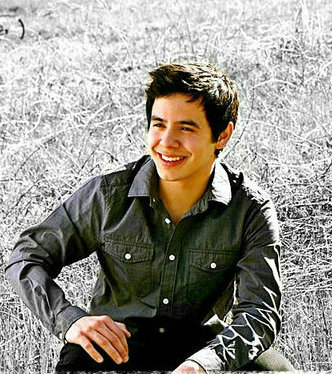 All ages and all races like Chinese, Malay, Indian, Thai, Caucasian ect…it’s like an Archie melting pot of fans, the power of the Archuleta indeed that binds us together! A lot of GUYS too, young and old, I think they made up almost 35% of the population there lol ohhh… maybe they had to come.. accompany their kids!!! I saw lots of college-goers too, but surprisingly not too many teens or tweens as it should be, ohhh cause it’s a school day and they had to rely on their (strict) parents, so that must be the BIG reason 😦 too bad for them, it’s a shame…it’s a crime…. I think about 80% of the venue was filled up.. not bad at all considering it’s a working/school day!!! Singing SBL ect.. and screaming at the slightest movement on stage while waiting was a fun way to kill the time and help build up “the mooood”. Finally the light was dim, cheering/ screaming, opening act was on, they were pretty good and very entertaining and very short….only 1 song !!! 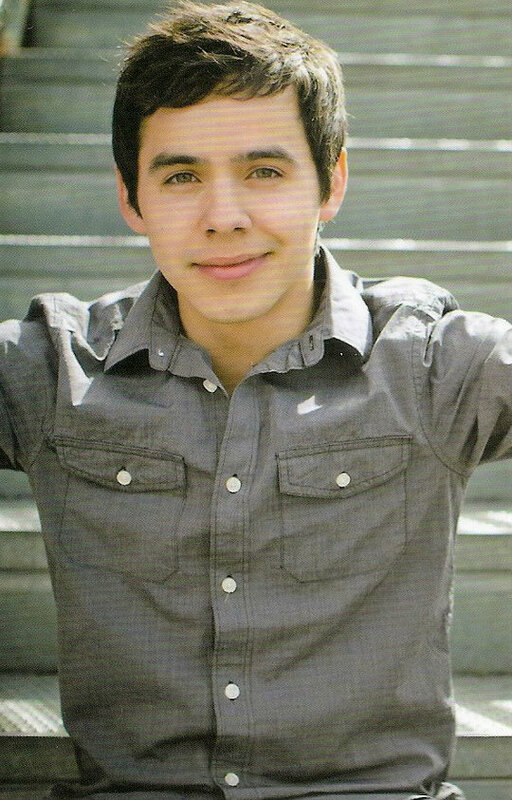 oh well… we were here for David Archuleta remember lol..hee hee. Waiting for another 5 long minutes it’s like forever so we chanted Daviddd! Daviddd! Daviddd! Finally the band was out, another cheering-screaming so louddd eeekkk then……. 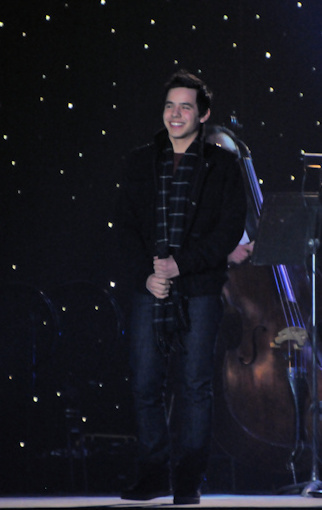 Kaboom…… The one and only Davidarchie zzooommmed out on stage bouncing, flashing his trademark million dollar smile…. man…the screams, squeeees, whistles this time were deafening loudd and longgg, my my where’d those hands come from suddenly? There were thousand of hands up in the air haha and he burst out “Wasting time just going mindless”….people were up on their feet with excitement…Whattt? I can’t see him! In a flash I (had to) stood up (never-mind the small boys behind me lol, sorry little ones, aunty had to see him, didn’t pay this much to watch people’s backside right!!!?) So did my daughters and almost everyone else. My hubby couldn’t cause there was a group of children, I think about 20-30 of them sat right behind him. I assume they were sponsored by Sony and David, I dunno. We never got to sit down for the whole show!!! David looked stunningly gorrrgusss, happy, hyper and handsome and sounded sooo good and confident and handsome (did I say that already? haha) There’s no trace of the shy, awkward, childlike guy we saw this afternoon during the sound check. This David was so full of energy, confidence, in command and friendly! !haha I wonder what Sony people fed him for dinner, lol must be something he ate!!! 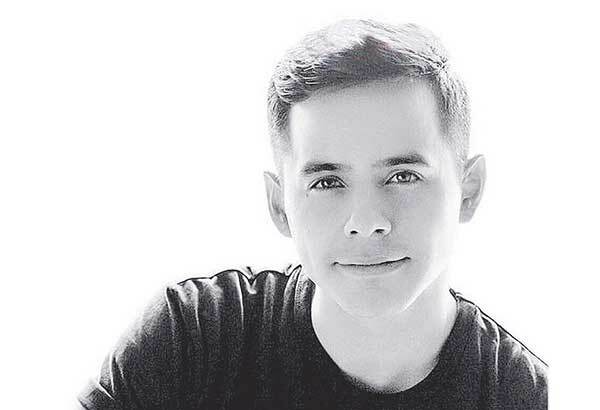 David sang STR, TOSOD, and ALTNOY continuously as you all know. His voice was (is) out of this world, pitch perfect, sweet and powerful. And I noticed that his voice and tone changed according to the song he sang. Sometime it’s fun and cheeky like in “Elevator.” Other times like in “Everything and More” he used his sweetest, most passionate voice ever…that was the best sound…sweetest song live… I’ve ever heard! Oh and have to add “Love Don’t Hate” too. Talking about “Elevator”..for me it was the most fun song of the set; David was sooo animated, his facial-body expressions were soo cute and adorable (I shouldn’t say those words, haha, about a 20 year old man but that’s the truth; couldn’t express it any other way, it’s all his fault!!) The way he put his feet together when he sang “and in my dream last night” and hophop hop hophoppp with the tune was sooo cute it hurt lol. And the part where he stood there gesturing with his hand “elevator goes up…” all of a sudden at “till the feet are back on the ground” he skipped backward, shook his whole body all at the same time and sprinted forward head first with the tune! Didn’t know that a human being could do that until that night haha….man… who needs the dance guru, this was so raw so natural, just can’t blink not even 1 second otherwise will miss his cool adorable moves !!!! The band intro was as fun as the song itself, everyone was outstanding, and the salsa moves from the boss man caught us by surprise! It was smackxeyyyhh haha he could moved those urrr… hips and swirl like nobody’s business as you prolly saw from the vid, I heard a lot of “thuds” in the venue there !!! Sorry this is wayyy tooo looong, longer than I expected, but yeah that’s how he made me feel. LOVED every minute of it.. I’m in good company. 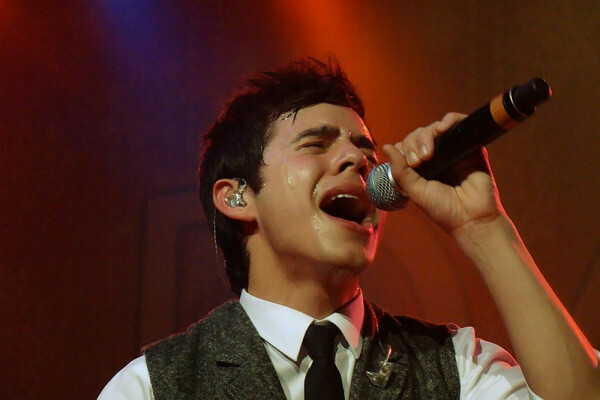 This entry was posted on Wednesday, August 17, 2011 at 1:00 AM	and is filed under concerts, David Archuleta, recaps, tours. 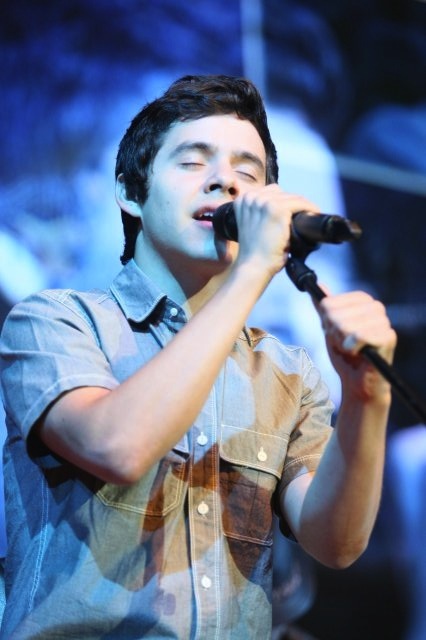 Tagged: An Archie Melting Pot of Fans, David Archuleta, Kuala Lumpur. You can follow any responses to this entry through the RSS 2.0 feed. You can leave a response, or trackback from your own site. I have patiently waited for your recap. It is a pleasure to read the reaction of a fan’s first “up close David encounter”. You hit all the marks. 🙂 He is quite a vision to behold in person. You got caught in the Archuglow. 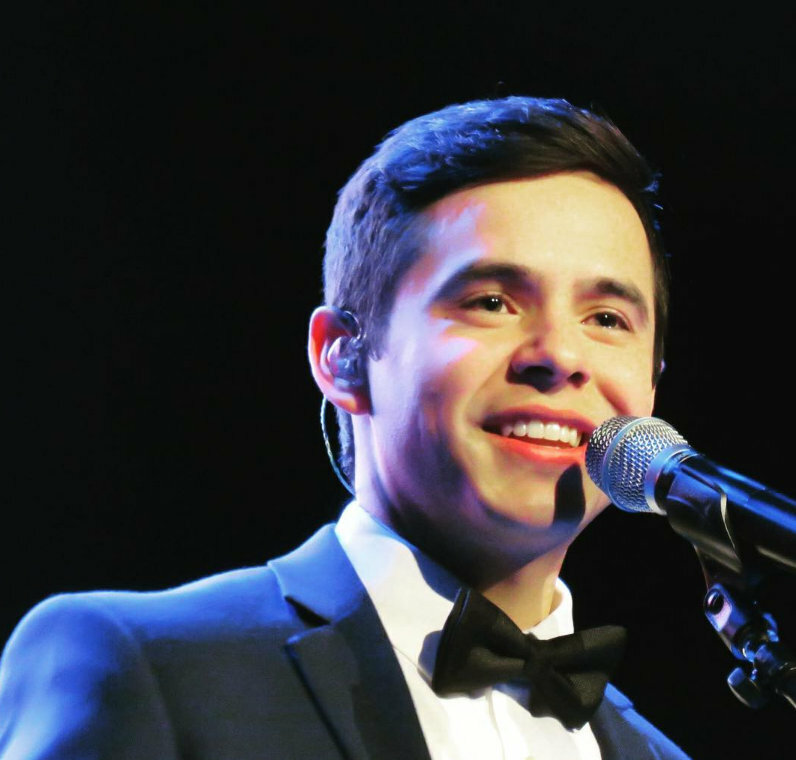 “David must be naturally gifted.” This is what everyone who sees him perform realizes. The moment he opens his mouth, you know something special is about to happen. It’s what we mean when we say he never disappoints. On another note, I was looking on twitter this morning and found some sound check vids from Hanoi. They were interesting to me as they show the “off stage David” relaxed and just singing to no one in particular. The 2nd time I watched with the sound off, if only to focus on David’s moves. But do listen to STR at 2:17. He sings Wait Wait Wait! Poelsky, Loved your recap! I felt like I was right there with you. How thrilling to be there with your whole family!! I once had the opportunity to bring 10 family members ages 10-70 with me. I cherish that memory. Of course other times I went by myself and shared the experience with other fans and those are great memories too! Angelica, Love the way you presented the daughters photos. Abrra, Enjoyed those Soundcheck videos. Thanks for picking up on the Wait Wait! Yes he does have the music pouring out of his veins and he moves so naturally as he feels the music. Nice way to start the day!! I love love this recap!!! Pocoelsky, you made me feel a lot of the joy that you felt while watching David perform. 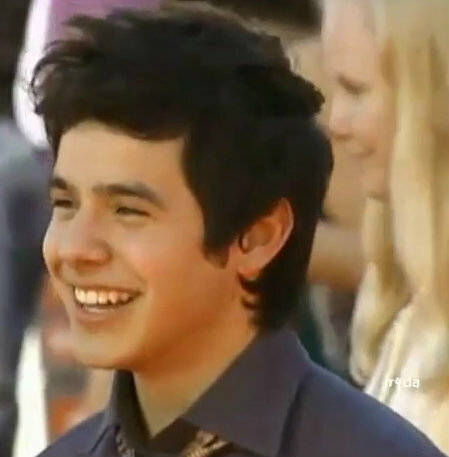 It’s one thing to watch David up on that stage having so much fun and showing us his joy but he makes us feel it too. I am so glad that you were able to witness this live. Thanks for writing the recap for us! Thank you for all your kind words :). I still thanking (is there such word ?) my lucky star that Sony and David decided to come to Malaysia !!! my family enjoyed the concert to the maxxx, my hubby was not really a fan but he likes David alright, after the concert he has all the good things to say about David and the Band, one thing I remember was that “WOW this guy can really sing eh !! he had such a powerful vocal” and my hubby said that sooo many times, and I don’t mind haha. You’re welcome, Wow 10 family members must be fun and loud lol, I’d like to go to his concert with other fans too must be lots of fun hope he come back here one day. Thank you glad you enjoy it. Nothing’s like watchin David perform live. Pocoelsy I LOVED this recap. Like you are chatting to old friends. ) Great detail. Thanks for writing it! May I quickly commemorate the 2nd anniversary of the Grand Rapids solo show? Pocoelsy, so special to read your recap and feel your excitement. There’s nothing like seeing David in concert. Thank you for sharing your experience with us. Please go over and leave a comment! Your recap was a pleasure to read, so full of humor and warmth and details. I watched all the videos from your show and they were awesome! I so wish David would do the same show here for his US fans. Thank you for taking the time to share your incredible night with us. Thank your daughters too for the amazing pics! 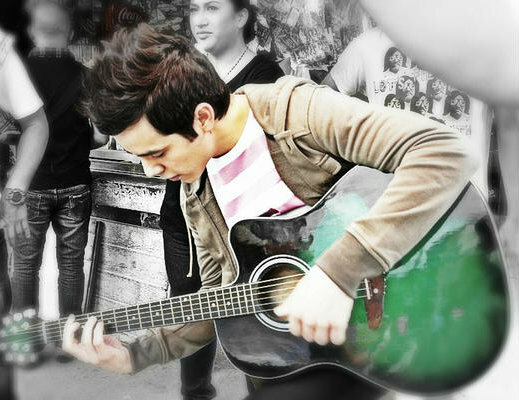 “To me the most rewarding thing was to see his joy, how he’s in tune with the music doing what he loves to do the most. The sparkling in his eyes and the genuine, gentle smile that never left his face said it all and that made me happy”. Poelsky ~ What a lovely recap! I truly believe that it’s his love of music & sharing it with us that generates the most heartfelt/unforgettable concert experience for his fans. Seeing him live is undeniably out of this world. Wow, Pocoelsy! Thanks for the amazing recap of David’s concert. Wish I could have been there!! Pocoelsy♥ I think your recap is awesome! You made me laugh out loud talking about your front and center seats! LOL as I am picturing that ever happening!hahaha! Love love LOVE those leg kicks and arm swings he does in TOSOD! ah yes. Captivating indeed. 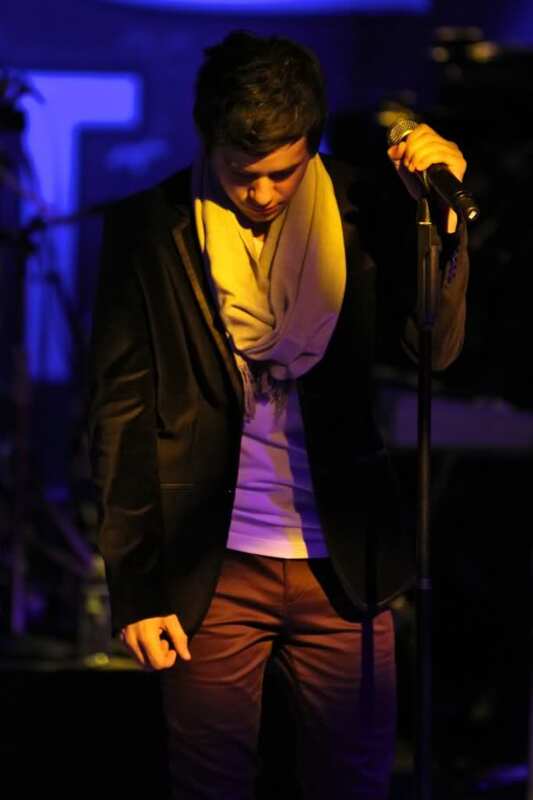 He just draws you into his performance, grabs you by the heart, and holds you there, doesn’t he? Isn’t it amazing?He is a hypnotizing ,mesmerizing, bundle of energy! 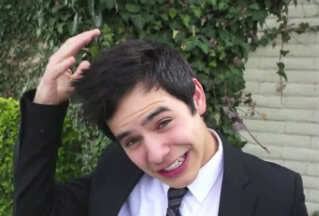 David mentioned another photo shoot in his vblog. It occured to me he MIGHT be considering re releasing the CFTH with a better cover? Or a US edition rework of the TOSOD. Thank you for sharing your incredible concert experience with all of us. I loved every description, every detail that you gave us. Made me feel like I was right there with you. I know how hard it is to write up a summary of an ArchuConcert. Mine have been insanely long but I have discovered something over the last three years. 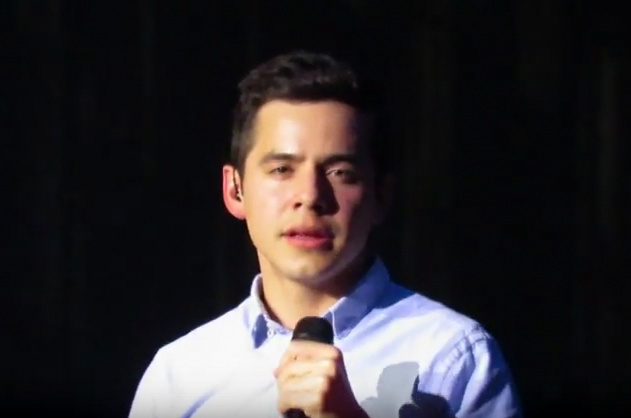 There is no such thing as a too long or too detailed recap of a David Archuleta concert experience or even a simple Archu-signing. Each and every time fans encounter “The Man” there is something new and wonderful to share with the rest of the fandom. Thanks for your contributions to this amazing tour experience. We in the states have lived it vicariously through all of our fan friends on the other side of the world. It is so amazing to be able to do that. Such a great and fun recap! I absolutely loved hearing every little detail and sharing in it all with you. David’s concerts in Asia were so amazing. The photos and videos from this tour were brilliant and we are so grateful for them. And comments and recaps like yours add so much to it by giving us a sense of what it felt like to be there. Thanks for sharing that feeling with us and helping us to feel a little of what you felt. I’m so glad you and your family had a such great time! Wonderful recap – enjoyed every word – thank you! Great recap, Pocoelsy! Happy that you and family were able to see and enjoy David live in concert. Your description was so vivid, like being there with you. Nothing is too long when it comes to David…loved every word. When you’re in the presence of an inspiring person, you know that something is happening energetically. Even though you can’t see, touch, smell or hear it, you know that you’re experiencing a shift that makes you feel incedibly good. That, to me is the way David makes us feel with his gift of inspiration, spirituality, great voice and good looks. Quite a gift from God. Like Simon said, “that’s not a bad place to be, is it”. Now THAT IS A RECAP! Thanks Pocoelsy. Very happy you were able to experience being in the presence of true future greatness…even if some people don’t know that’s what he is destined to be. Having said that, many of us here in the USA will also be in his presence very soon in AZ! 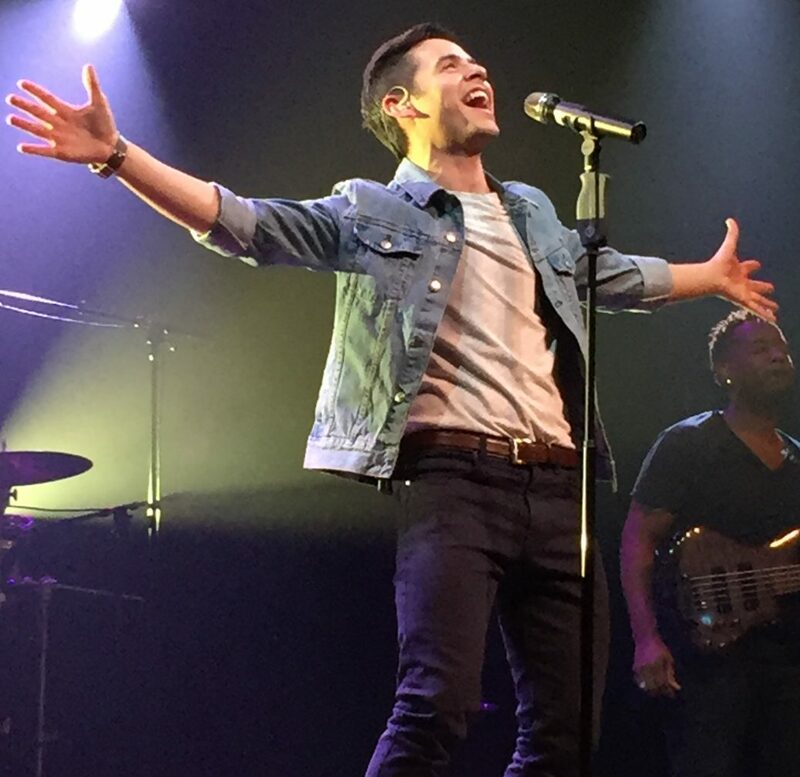 BTW, dear Admins, is there a link up to go to the AZ info for those who are still needing to know what they need to do to get the wrist band for David’s concert in AZ? Pocoelsy— It’s always such a treat to read re-caps and how other people feel about their first encounter with David–seeing him and hearing him live for the first time. It is easy to relive your own experience reading your words, you make everything become so alive–with your descriptions. LOVE IT!!! And that is the tah-ruth!!! Pocoelsy, what a wonderfully funny, heartwarming recap of your family’s concert experience! Loved it all, first word to last. 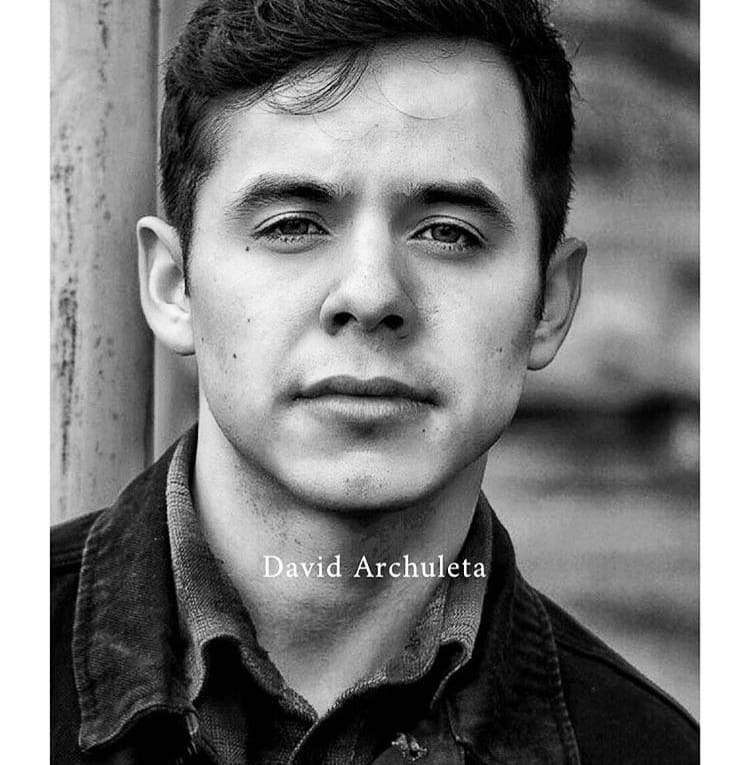 And especially this “it’s like an Archie melting pot of fans, the power of the Archuleta indeed that binds us together!” And your last 2 long paragraphs so beautifully describe him and what he is about musically and personally. Your daughter’s photographing is just stunning. She has a talent. Would love to see more if she cares to share! Abs #14–keep that dream in focus…we can only hope!! Pocoelsy…You had a marvelous experience and it seems the same excitement and wonderment comes with him wherever he goes! “One month from tonight” we will be excited all over again. David will take to the stage and all of the new people who have heard so much about him lately, will become his newest fans. I remember how many men stood in amazement in SLC during the standing ovations at the MoTab Choir Christmas concerts. He has men fans in suits and ties and some in jeans and tshirts. Well then there is David Foster all the way through the lines to Brad Paisley who have sent compliments his way. So, in just a few weeks there will be for everyone, new videos, live streaming and plenty of twit pics. probably followed by a chat into the early hours. Still looove this. Audio isn’t the best, but the end is killer! I was cleaning. Came into the office to vacuum….and I got sucked in. Thank you for all your kind words !! I’m soo happy that you all enjoyed my “story” . It’s a challenge to me to write the recap especially when all of you are very good writer yourself 🙂 It’s intimidating to say the least since English was not my strong subject in school lol. I have to thank the Admin and Angelica for even consider putting this up and help me correct my spelling and such and also put my daughter’s pictures up there too, the sepia version was Angelica’s work and they’re so niceee. Most of all “thank you David” who inspired me to get up and do this all the way through without giving up; like he said “if you want to do something “just go for it”, haha at the age of 50 I still learn a lot from this remarkable young man, I’ll keep doing it. I want to thank you for participating in the process that keeps this fan site alive. It means so much that fans of David step up to share thoughts or an experience. Sharing the special time you spent gives us all a chance to sit beside you in the 4th row. Whenever I read that someone plans to attend a concert, I ask if they might do a recap for the site. You came through in a big way. Pushing through your doubts, you gave us all a well written article. Having fans contribute here is part of the vision we have for the site. It’s a fan site for and by fans. If anyone has something they feel strongly about. Start writing. Send it to thevoiceda@gmail.com and we will help you to get the article published. Yes! there is a link to the Arizona info on the right sidebar and also Angleica added it at the top of the current article ( until the show happens). Click the picture to go there. We encourage all fans to check that page often for any updates on what is happening. You can also use the comments section to make plans to meet up. We are happy to assist in exchanging email addresses. Just ask and we can hook you up. hello there! this is my first time to post, i’m usually a lurker…can’t help but comment on pocoelsy. i was smiling and laughing (at the office) while reading the recap! i read it three times already….that’s how good your story is pocoesly. thank you for sharing! and if i may add, you are a great writer!…it’s only twice that i saw david performed and i’m eager for some more. too bad arizona is too far from california, or i would have been there in a second! lol, love the HEART! thanks for the warm welcome! He disarms you with a smile, knowing full well he is about to slay you. Everyone, please keep Pattirae in your prayers as she has her final surgery tomorrow, (Thursday.) She has been through so much and is nearing the finish line at last! You HAD to bring up Sayreville shoulder action, didn’t you. You know what’s coming, don’t ya? Emmegirl 24, 25…wow, you weren’t kidding about the rock star moves! And I loved: “I was cleaning. Came into the office to vacuum….and I got sucked in.” Haha! Yep, been there, done that! About yesterday’s vlog…I had waited so patiently (yeah, right!) and was so excited about the possibility of hearing about upcoming tour dates, or news of new music, or possibly some singing…but no, David put it all into perspective with the majority of his vlog being about Marius. Isn’t it great to be a fan of such an awesome young man! Thank you for sharing videos today. We were blessed with so many from this Asian tour I found it impossible to get through them all in real time. Receiving them in batches on youtube, weeks after the tour lets us savor the memories bit by bit. Do you think you can take one more “Heaven”? Dreamskyhigh had a great seat and gets extremely close at the very end. Don’t miss it. Because it’s so close, you can catch nuances that are easy to miss from a long camera view. Every bead of sweat, every sly smile…you can see it all here. At 1:59 David kills us with a HUM. The audience reacts strongly. He’s well aware of his power. At 3:52 he does one of those I don’t know what you call them but you’ll know what I mean when you hear it. The nerve! Then at 4:30, the loooong note, “We’re in Heaaaaaaaven.” Wait for the extreme closeup at the very end! Credit dreamskyhigh with this beauty from Hanoi. Gina, Welcome to The Voice! Prayers to Pattirae, on her surgery. We will be thinking of you, Patti, and sending prayers, love and positive energy your way. I’m happy to say that I have had contact with Emifriend and she is doing very well! So well that she couldn’t make it to chat last Saturday night because she and her family were celebrating her progress! 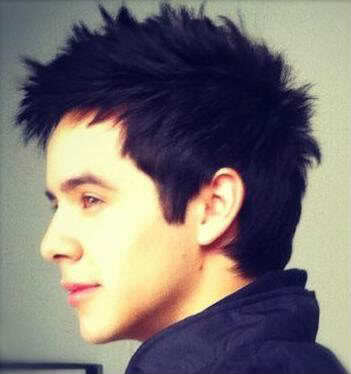 Request David to perform on the Alma Awards! I’m glad I can make you laugh, thank you so much for reading my “story”, just express how I felt when I witness the greatness of David, I’m sure you felt that too when you watched him. Be careful your boss might be watching !!! hee hee. My prayer goes to Pattirae, hope her surgery goes well , and a fast full recovery :). Bebe #36, that video is quite a find. Beautiful. The close ups… and the sound is great. You picked out some good moments. 3:52 is… idek. That heartbreaking sound. Good morning…Thanks for the update on the hotel Angelica! It Is time to send Djafan $25, I am so slow that the closing date will be here! #30 Oh Abs, those little eight words on the sidebar can’t quite match shouting a performance of David’s from the roof tops! Just like the recaps all show, they are priceless. We are honored to prepare for his concert in any way that a fan can. 36BeeeeeBeeeee! good grief! what a video.Wonder if she still has her camera, or if it went up in flames after that performance. Angelica, thanks for that info also.. Here is the email address…. Pocoelsy, Love’d it! I feel your excitement. Here you are on the other side of the world and the emotions, the joy we feel through David doesn’t have any borders, it’s the same world wide. In my book this is the perfect setting for an International Star in the making. Your daughters pictures are beautiful! I’m curious Pocoelsy, how are you feeling now? Angelica, Pomonapause, you pulled that one out of me lol. Maybe you could pull another out when I have a little time 🙂 And thank you for the Arizona link! It’s also on the right sidebar. Thank you for the link request!! The 25 Most Beautiful Latino Stars Under 25 in Latina!!!! Hi girls, I’m a little calmer and I’m not angry. I apologize for my last comment, but I felt insulted and defended myself. But that moment is gone, now I’m gladys mic or gladys jeans again. Pocoelsy, I thank you for your post. I feel like I’m sitting next to you, looking at David, thank you very much. I admire your post in English and I congratulate you. I realize the effort to write in a language that is not your own, but the girls in this blog are great and help us. 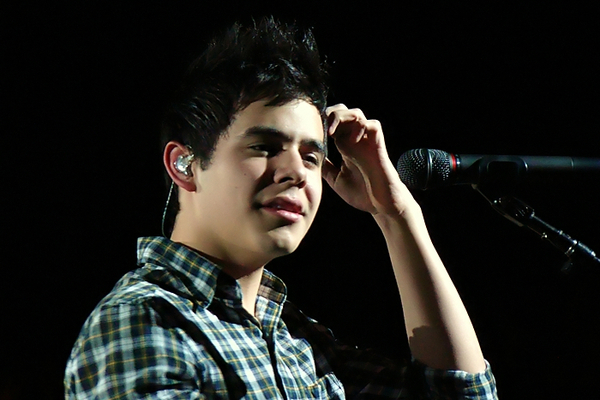 I hope to visit your place someday, and to tell everyone about David’s concert in my country is my dream. Something funny happened to me (my life is not always serious) .. I printed a calendar with photos of David and stuck it on the wall to see how he has matured. I have my wallpaper at the forefront of David’s face, he is singing Heaven. In my personal folders and files, here in my office, is also David. To speak politely, David has invaded my life. And besides all this, on my iPod and the music of David is everywhere. Yesterday, the owner of the studio went up to my office and asked me for some folders. When she opened a folder, guess who was inside? Then she looked at my calendar and guess who was smiling? Then she looked at my CDs and she asked me, who was the singer? Gladys, what about this guy so young? I believe the answer found her, when she saw my computer wallpaper. Gladys, Is the owner of the studio a fan yet? Doing promo for the tabernacle choir CD/DVD today. The release is getting closer and closer! Here are the links to Amazon. Interesting little thingy here.. Jonerz linked on twitter. We’re low in the comments area as a fanbase. I’m sure we could do something about that lol. Bebereader: not yet, but I’m trying. Signing 5000 copies of the Glad Christmas Tidings CD that was with the choir. Phew! Haha I’ll let you know how to get one! Some Sayerville love from Djxox. She emailed them to me. Abs, yes they are mine from my ZG shoulder roll vid that Angelica is sweet on….lol…feel free to post. I hope to be back with ya’ll soon. I try to keep up when I can on my phone. I miss the fun and all you ladies. Haha It takes 2 ladies to “help” him sign booklets? 😉 Where do I get that job? Ok getting away from the obvious, does anyone have any news in regards to David going to Japan alone without his band? Is there any new news about the concert there? Well, is seems that we have to live by rumor alone and that can drive one CRAZY…But being Crazy with David then that is OK…probably. Are we having the time of our lives? Bless your souls, you are probably crazy just like me. I do love that song. SB#54 Haven’t heard any news yet. Will bring it here as soon I do. Pattirae, you are never far from our thoughts, best of luck on your surgery and continued recovery. After having a Project Runway party by myself, I am now having a DTE Clarkston show party. I wish there were better videos from this show. Thank you for the compliment. I’m glad I could make you feel the way I felt about the epic concert. 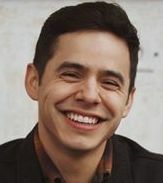 I really dream of going to David concert with you all one day so then we can literally giggle together, must be an experience of a lifetime. #42 Djafan, Yes you are right David is an international Star from the look of the mix of the audience there some even flew in from other country I believe, talk about dedication !!!! And since you ask “how am I now” let me put it this way – last night I dreamt that after the concert FlyFm. 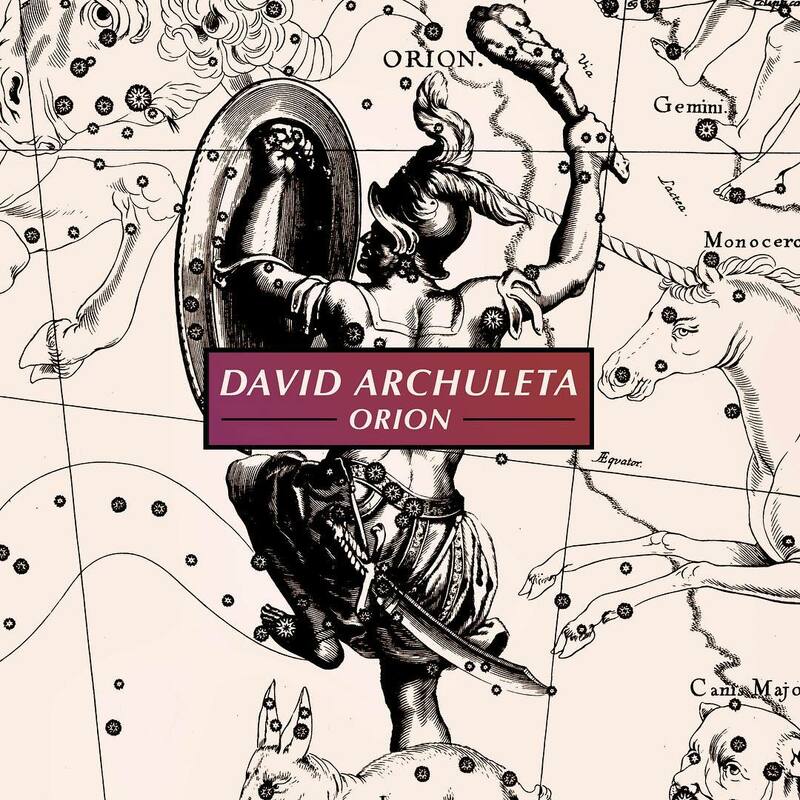 play all sort of David’s songs, old and new on the radio for weeks it was so real to me, like I really heard the songs then I woke up I realize it’s just a dream cause I only listen to the radio when driving for my daughter and upon her request, if not.. I only listen to …you know who …heehee no exaggeration whatsoever and it’s funny that you asked and I dream what a coincident!!. As for my 13 yr old daughter, after the concert she stops listening to the radio she only listens to David now haha she crazies about “Notice me”. She proudly wears the David tour T-shirt to public places almost every time we go out and still gushing about how “cute and handsome David is” everyday lol , now that’s how I-we feel haha.. we’ve got it baddd. Thank you for the encouragement you sent my way, ha you definitely understand what I’ve gone through writing the “recap”!! I wish my English teacher could see this and may be she could “see me in different light” and be proud of me just a little more!!! but yeah I love all of them cause without them I wouldn’t here chating with you all. 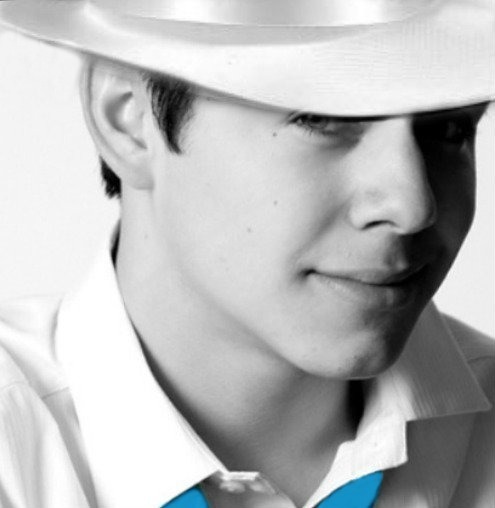 I hope one day David will have concert in your country, you’re such a big fan you deserve it. Betsy, uh-huh. Pounding backwalk with a halfturn…a solid 10. Pocoelsy>>> Thanks so much for this beautiful recap!! The details and descriptions of David are so well written…. great job and I appreciate you sharing with us!!! David doing an NBC 9/11 show. I saw that tweet late last night. I wondered how he can be signing 5000 CD covers in Utah late afternoon and then be in rehearsal in LA a short time later. Must have been in LA the whole time. Or they filmed him in Utah singing with the choir for the 911 special. Makes my head spin! Amazingly good news about Pattirae! Yay for Pattirae!! Go leave this beautiful, valiant lady some love! Hope to see her in Arizona now. Keep praying she recovers quick! Djxox, thanks for the Sayreville pics! Miss you too. I am jealous. I need to get busy and order my MOtab cd/dvd now! Tear of joy this morning….1st to hear how well Pattirae’s surgery went yesterday, an answer to a lot of prayers! More JOY….my 3 MoTab DVDs have been shipped by Deseretbook!!! Christmas is coming even earlier then Sept. 6 !!! Pocoelsy…THANK YOU for every word about your beautiful David experience with your family….inspiring to read! Angelica, we never told the story about buying our lovely sun hats in MB…They were everywhere as they are in hot sunny places! My DVD’s and CDs have been ordered for Christmas presents and NOW we hear about early shipping so I have to, just have to order one more DVD. The oohs and aawwws form REFNAF and TXnancy would be too much! Another meeting this morning that went well. Now to the orthodontist. Thanks to SB,Emmegirl and Betsy I got sucked into the vortex late last night and stayed till my eyes couldn’t stay open any longer!I was all over the map in there! Great news about Pattirae. After what she went through with the last surgery,I am so happy things went so well yesterday! Would sure love to get to meet her in Arizona! an NBC taping? 9/11 show? David on our TV’s again? I have looked at NBC’s web site for any mention of David or any musical program around the 911 Anniversary week. Haven’t seen anything either, Ab. man, look at those fangers! Pattirae!!! So glad to hear. Emifriend, I hear you’re doing awesome too!!!! 9/11 NBC Concert. I found this. Enrique Iglesias, Alan Jackson, Gloria Estefan, Aretha Franklin, and Al Green are among the performers confirmed to appear at the Concert For America, to be broadcast Sept. 11 by NBC as part of the network’s coverage of the one-year anniversary of terrorist attacks on Washington, D.C., and New York. Josh Groban, Renee Fleming, Placido Domingo, and the National Symphony Orchestra conducted by music director Leonard Slatkin will also appear. The event will be taped Sept. 9 at Washington, D.C.’s John F. Kennedy Center for the Performing Arts, with First Lady Laura Bush serving as honorary chairman. NBC’s broadcast will be hosted news anchor Tom Brokaw. At present, no tickets are available to the general public, but updates will be posted on the Kennedy Center’s official Web site in the coming days. thanks Dja. wonder if David will have a cameo appearance? Interesting..
credit to zerogravity111A for the above video. I don’t know your email name so I’m not sure if I received it. Could you please send it again? Confirmation of band in Arizona!!! 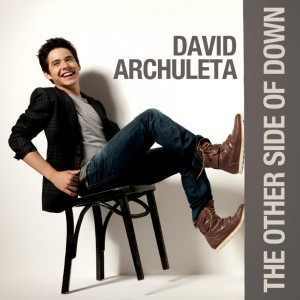 @StevenJRob @MarkNilanJr Will you guys be with @DavidArchie in Arizona on Sept 17? Sorry to bust your bubble if you thought you’d see David, but if you read the article carefully – it is the first anniversary of 9/11 and Laura Bush, the First Lady – was serving as honary chairman. Can’t imagine that NBC would be filming in Utah. He was home because he went to his mom’s performance. He signed MOtab CD’s, and went to his orthodontist? He surely is our little Ninja!!!!! Sorry for spelling – honorary. He probably hasn’t told anybody yet. I can see it now. David can’t say what he is doing often until he gets the green light that everything is in order to do just that. Often choirs and soloists accompany scripts for documentaries or stories that are told. This little ninja guy that you talk about to me is a nearly 21 year old musician and much more accomplished and worldly than most guys his age. Wouldn’t it be neat if they showed David singing for those Fireman after 9/11 and then showed him now singing some Patriotic song with the Motab choir in the background. Kind of like they did for the Stadium of Fire show. There are programs that they’ll be showing Sept.5 on throught Sept 11. Like Betsy,SB and Djfan I’m thinking there is something in the wind. We can dream and dreams really do come true. Think positive. After all we have a clue that the makeup artist saw him backstage at a taping for an NBC special for 9/11. 80. Dja.I just sent it again and wrote “to Djafan from Skydancer1x” in the subject line. So happy about Patti:)) Her husband texted me from her phone this morning and told me she is doing great, sends her love and gets to go home today!!!! Can you believe that woman? She is amazing and so deserving to have this surgery go so well after the  horrible traumatic one last February!!!! She wants to go to Arizona so bad, and I think she just might make it:) We already have our plane tickets and I sent DJA money for 7 fan passes yesterday for Claudia abd her sister, Patti and her daughter and grandkids, and for me!!!! eeeeeeeek, less than a month away now!!!! Loved this recap pocoelsy:) sounds like u had a super fantabulous time. so happy for u! Anxiously awaiting my email saying my MoTab CD and DVD has been shipped, but have a feeling since I live in Utah I may be one of the last to get mine cause Deseret book is based in SLC Snd they r probably sending out those out of state or country first. Pocoelsy; Wow! I savored each vivid detailed description of your amazing David experience as it brought to mind my wonderful memories of what it’s like hearing and seeing the joy of David singing live. You are so right when you pointed out how David captivates, engages and reaches out to involve his entire audience … it’s like he taking extra care to make sure you know how much it means to him and you can feel how much he is giving back from his heart. Thank you for sharing such a wonderfully written post! 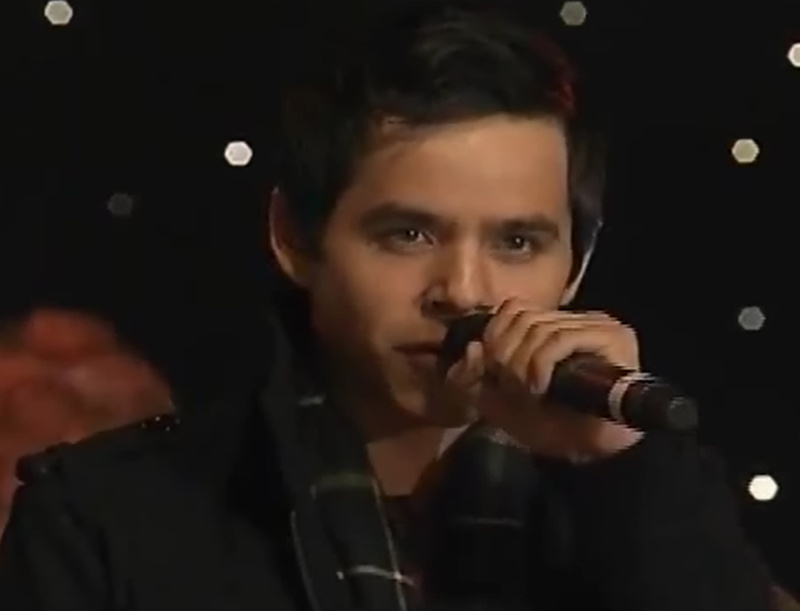 Your daughter did a great job taking pictures especially for how much David moved on that stage. Pattirae; So glad to hear that your surgery went well and hoping for your complete recovery back to doing all the things that you love. I have been touched by your courage and positive attitude in all that you’ve been through. Thank you all for posting so many wonderful videos on this thread as I’m thoroughly enjoying them but there’s nothing like a vlog from David. Gosh, it certainly reinforces why we are his fans for life! Plus we got MoTab CD/DVD, Arizona, Okinawa and possibly more exciting events ahead! Yipeee! Hope everyone has a great weekend! It’s late but I had to come and give my best wishes to Pattirae. It’s so great to hear you are doing well after your surgery. I’m praying for a speedy recovery so I can see you in Arizona, along with Shawna and the rest of those from The Voice and other fan sites. It’s so great to meet everyone and put faces with screen names. One month and counting! So glad the band will be coming too. We are going to rock our little section at the concert!!! Aw Thanks guys for liking my recap glad I can make you feel what I felt there, David’s everything I witness and more!!. Hi! How are you doing little Mama? Bet you’re having a ton of fun with your sweet daughter! I just ordered my own while I had her on the phone! Whoot! I didn’t see the part in your comment about the Asian tour edition. Pattirae…so very happy for you! Heart-felt wishes for continued improvement and health! Nice to hear good news about Pattirae, hope she’ll be able to go to Arizona. Hi Embe I think you can order Tosod Asian edition from CDwow I think many folks in the US. ordered there, but I don’t know about Finland!! I’m in Malaysia so it’s easy for me to buy from a cd store just let me know if you have difficulty buying one I could send to you, consider it’s a gift for your baby 🙂 I like it when you say ” she’ll fall for David in the process” !! she’ll be his fan for live literally :). As for MoTab dvd, I myself also don’t have a clue where to order look like Amazon have just the CD. I’ll wait for more news that will come up somewhere, I need that dvd too haha. Thank you posting all the vids love them all, need time to catch up though !! Oh talk about Tosod Asian edition I heard they’re selling well in Thailand too this is a very good news consider the minimum promo there. I have Embe’s current home mailing address. I can send it to whoever is mailing her a CD. Just let me know here. Good news from Pattirae!! Congrats again Embe!! Glad to hear you’re still enjoying David’s music and now are introducing your daughter. Never too young and I know you started prenatal. Angelica, Thanks for checking re: International sales of the DVD. Many are asking over at the official site too. Will pass on the information. Pattirae, so glad your surgery went well. I’ve been praying and sending good thoughts to both you and Emifriend. Great news, Pattirae! Such an ordeal to have to go through. Bless you as you recouperate. Embe, congrats on your daughter and new life as a mum…you’re raising her right with David’s music. Sweet music to her ears! This is like chocolate pudding in a voice to me (Thanks for the mp3, Abrra!). Anyone care for some? You are welcome Gayle! Lots of sweet treats in that jar 🙂 Summer tour folder is one of my favorites. Thanks Gayle, chocolate pudding happens to be one of my favorites. Just stopping by to say HI!! I’m so happy to hear that Pattrae is doing well—Have a feeling in my bones that she’ll be at the concert getting some great medicine. What is that echo to his voice at the end? I keep rewinding that for another taste. Can’t get enough. Must be the whipped cream on top served with a smile. I love cereal. This cascadian farm cereal my mom got is amazing. Here is the link I used. Pattierae, you personify the word. So happy to hear you are doing so well. I have never heard of that cereal, added to list to try. Angelica, never enough! BTW, I just got my Asian Edition TOSOD. My Goodness, those photos… And I’m really loving EAM now. Sometimes it just pops into my head unexpectedly! LOL! How about this little lovely!! Love those Ann Arbor videos! Here’s “Zero Gravity” with an orchestra! Has anyone got the Glad Tidings DVD???? Well. Just finished watching the DVD. David is magnificent! That is all. Very spiritual experience. The DVD was definitely edited with a David slant. 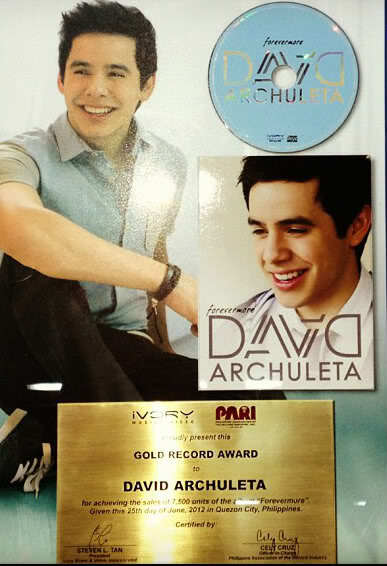 He really shines and his songs make up a majority of the DVD. The audience is shown at different times after his numbers. Their appreciation for him is so evident. Silent Night was magnificent! Maybe he’ll come back here for Christmas. I am so glad that there were ninja videographers there. Brave souls. And I know there are more. When I was walking out, I talked a couple who were on cloud 9. They told me that they recorded the whole thing. They were two guys who were huge David fans, and lived in Ann Arbor. Dang. I wish I had gotten their names. So good to hear Patti is doing well! Great news! Pocoelsy, loved your recap. You had me feeling that crazy glow. It is Christmas at my house today. Received the DVD Glad Christmas Tidings and the performance is even better than I remembered. It is truly a thing of beauty. David did a fantastic job! Funny how I am still needing to see this program on PBS. Never get enough. Has this beauty been posted? By puriduaenam. omgosh. Voy para el concierto de Los Tigres Del Norte esta noche aqui en Utah. Thanks for posting the video, Angelica. Being a scholar of EAM videos, (I KNOW IT’S SAD, DON’T REMIND ME, LOL) I can say that I don’t believe that has been posted. Thank you all so much for your help! You guys are amazing ❤ I just placed my order for the MoTab dvd and I'm so EXCITED!!! Angelica, I'd love it if you sent me a copy of TOSOD ATE (or whatever the abbreviation is lol), but I'd feel bad 'cause I couldn't pay you for it, since it must've cost a lot. Is there anything I could do in return? And like Abrra said, she has my address if you need it. You're like angels, I swear. Last night David’s twitter account was “hacked”. Someone changed his password and tweeted some information that was not true. Fans knew very quickly that the tweets were not sent by David. They came from other sources , not by “text” as he had tweeted earlier from the concert he was at in Utah. They came from mobile web and iphone. The false tweets were deleted from his twitter page once David became aware that something was going on. Phew figured that problem out and back into my account. Sorry everyone for the fake me. Weird having your space invaded sometimes lol. Ok so that last tweet was really me back in my account haha. If anymore tweets come tomorrow or from an iphone it’s not me. Then, overnight there were more “hacked” tweets. I know this because they are on my phone. He has deleted them from his page, again. I will not be specific about what was tweeted because I do not have proof that it was who they say they are. I am sure there was much drama on twitter over night. I checked tweetdeck and saw that Sunny Hilden had alerted him. Sometimes you just have to call your friend at 1 o’clock in the morning……. After a long time on the phone helping my friend, a tear rolled down my cheek. An angel shouldn’t need a zillion digit password. Until he says things are under control, maybe we should not post any tweets to avoid drama. Let’s give him some time and space to sort this out. #126 Well said. Bravo. Thank you. David remained as cool as a cucumber (online anyway, lol) and we should do the same. Here’s some eye candy for today from Malaysia, courtesy of Red FM. Ik Betsy. From the sweet bit of puffiness under his eyes to the subtle dimpled chin to the squareness in the jaw to the smattering of moles to the character lines and more dimples that embrace his beautiful smile which causes wee wrinkles around his eyes to the… well, you get the idea. Here is the full link to the mp3 audio to download the interview Lorms is posting about. Tawna21, thank you so much for the info and the link, I placed my order!! I’m waiting ng ng. Angelica Thanks for EAM vid so beautiful, While I was watching the vid my hubby looked over my shoulder and said “You know when he sang this that night you had tears welling up in your eyes, one hand on your chest and the other holding the camera, you have “that smiley peaceful look” on your face, it was a special moment eh !!!”. Ha I didn’t even realize that, now it’s all comming back to me thanks to you and not just this song most of the ballad he sang that night, his voice and emotions just pierce through your whole being !!! djafan~please contact me @ my email. Betsy and Emmegirl…yeah everything you said. Lorms thanks for the link and thanks abrra. There are some many songs he can cover, love to hear him cover some more current songs. Last night was crazy, just crazy. LadyV, Alfredo, Ednita from Somos El Mundo tweeted him before David confirmed it wasn’t him There were a lot more because there was a spike on the Next Big Sound stats. Glad Tidings is 20% off at Deseret Books. Hi Pocoelsy,Abrra,Lorms,Emmegirl,Betsy,bebe,I said,Embe! Just getting here tonite, didn’t feel real good today..it happens. Emmegirl, oh please, do go on.. I believe I know Davids face better than my own. Tend to look at his a lot more closely. Awww gosh i love your recap! I was reading and it took me down memory lane :))) gosh!